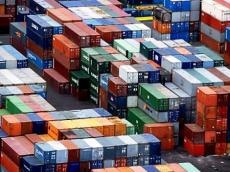 The trade turnover between Kyrgyzstan and Uzbekistan increased by 1.5 times in 1H2017 compared to the same period of 2016. This fact was noted at a meeting of Kyrgyz Ambassador to Uzbekistan Daniyar Sydykov and Chairman of Uzbek State Statistics Committee Bakhodir Begalov, the Kyrgyz foreign ministry reported. The sides also discussed cooperation between Statistical Committees of two countries in exchange of information, experience, publications, as well as the organization and coordination of statistical work. The Kyrgyz Ambassador also met with Chairman of Uzbek Chamber of Commerce and Industry Adham Ikramov. They discussed the implementation of the tasks set by the presidents of two countries after the meeting in December 2016 in Samarkand, regarding increasing the bilateral trade and holding of joint Kyrgyz-Uzbek business forum and an exhibition of Kyrgyzstan’s achievements in Tashkent. In 2015, bilateral trade amounted to only $148 million, a paltry total for two countries, according to the Uzbekistani Foreign Ministry. In 2017, the two countries committed to boosting that figure to $500 million within two years.